Bristol Comedy Garden returns to the city this week for its annual showcase of premiere stand-up comedy talent. Celebrating its seventh annual event since its inception in 2011, the lawns of Queen Square will once again be transformed into a replete comedy wonderland and play host to some of the brightest comedians currently working the UK’s stand-up circuit. With performances running across five consecutive nights from 14th – 18th June, Bristol comedy fans will be treated to yet another fantastic bill which features no less than 28 chaps and chapettes bringing the funnies. Performing in front of packed audiences inside the festival’s beautiful ‘Big Top’, this years headliners include hometown hero Mark Watson, audience riff man and improvisational wizard Ross Noble and The Last Leg host and Aussie funnyman Adam Hills. The line-up also includes curmudgeonly man mountain Greg Davies, British Comedy Award winning ventriloquist Nina Conti, Irish cult icon David O’Doherty and a whole range of other talents including Tim Key, Rich Hall, Sara Pascoe, Shappi Khorsandi, James Acaster and local boy and compere supreme John Robbins. 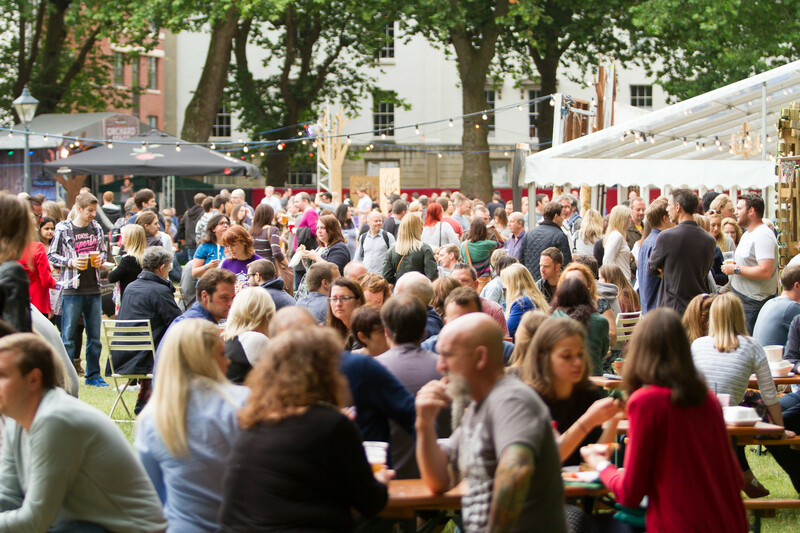 As well as the abundant supply of comedy, Queen Square will be bursting with fantastic bars and a selection of Bristol’s finest street food including Scoff & Relish, Los Amigos, Agnes Spencer and local favourite Pieminister. There are still a few ticket remaining for the event so, if you want to be a part of the South West’s biggest comedy extravaganza, snap them up now! You can read more about the event and purchase tickets by visiting the event’s official website. Watch this space for our reviews of Bristol Comedy Garden 2017. Tagged 2017, bristol, bristol comedy garden, comedy, preview, scott hammond. Bookmark the permalink.